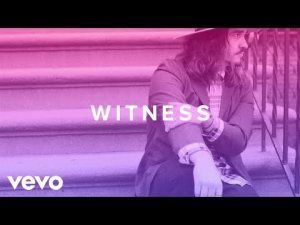 Known for his standout soulful, pop vocals and songs that bring a modern and fresh feel, Jordan Feliz has already had an impressive run at radio with two #1 singles from his debut album in the US, The River. Growing up listening to R&B artists and early groove-funk-soul singers, Jordan’s own musical sound has been greatly influenced by these styles. Originally from California, Jordan and his wife stepped out in faith and moved to Nashville just a few years ago. Shortly after, they had their first little girl and Jordan signed a record deal with Centricity. way for you, in a way to have favour on your life. Our future is not wound up in our success, but in the inheritance of God." With that something clicked and in that day the song and first single from the album, "Witness" was written. It is this song that also kicks off the album. 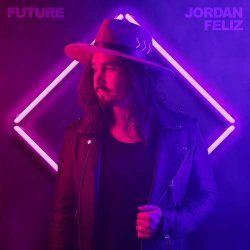 The first track of the album picks up what you most remember from the first release, Jordan's great voice and the handclap beat, something that becomes a bit of a mainstay on this one. The song itself talks about God's love and rescue for us, referencing common Christian expressions before faith of blindness or sinking, but experiencing God doing what is necessary for us to be picked up. Knowing that God is working for us in every situation, every day, even "eight days a week!" The second verse brings the reminder that fame and money won't ever measure up to God's love and grace. "Count That High" is about counting the blessings in our lives, with Jordan suggesting in brilliant R'n'B styling that he couldn't count that high. There is a positive vibe that fills this track and "Faith" and while both these tracks are incredibly upbeat and chirpy, complete with more handclaps and great vocals, there is a darkness reflected in here. Life hasn't all been great, there are times of waiting and wondering, these are reflected more in "Faith" which reminds the listener that we have to believe that God is making a way for us, and we have to learn to love where we are, and that is what requires the faith. There is a lot of variation on a theme on this album. Whether that is the lyrics which do hold a lot of Christian cliches, or the same style of drum beats throughout, or the same mid-tempo styling throughout. From beginning to end this album is made to appeal to the Christian radio listener, because every track is made to appeal to that audience. As such, even when there is more of a 70's disco vibe on "Streets of Gold", it still ends up feeling the same as what has gone before. "Pages" is a track which reminds us again that we find God's love and promises in the pages. I assume he's not talking about the Yellow Pages, although he says that he finds everything he needs in the pages... It's a strange choice and way of phrasing it! "Lay It Down" is talking about surrender of all the things we hold on to, not the good things, but those things that weigh us down and hold us back. Here the encouragement is to find peace with God by giving those things up to Him which is obviously a great Biblical message. This sets the scene for more of the same from the title track for this album, "Future". This is really about remembering that God holds our future, so we can positively look towards what will happen because we have nothing to fear. This song really echoes what Paul had said to him about his own future. Then "All Along" shows how this has worked out so far in his life story. God has worked out those things for him from the day of his birth, through to this moment God was there, the implication being that no matter what the future holds, God will still be there. Well, I assume it's God He is talking about, because he only references "You were there" and it's not like it's a secret this is a Christian album, surely there is no harm in mentioning God in this context rather than leaving the implication, he could, for example, be talking about his Mum in the way this is phrased! While I'm talking about missed opportunities, "Changed" also falls into a similar trap where his salvation is all about him. The song is a testimony about his 'salvation', but it doesn't tell us how, why or what happened? It talks about God's love being 'magical' but it misses so much about God's relentless love and what it cost for the change. The reality is more gritty that this rather weak song suggests! He wants to 'testify' but fails to really say anything about anyone except for himself. "180" doesn't redress this balance particularly, but it is a much better constructed song as it talks about turning around to go back to where God is, it's like the old school version of repentance, but again fails to explain this properly. "That's The Life" gives us an interesting expression of Feliz's higher range, and talks of how we can again look to an eternal future where God call us his. "My Shelter" brings something of value back to the album as it considers how God has been his shelter both in the past and will be in the future, when things are difficult. That is an option to run to God for the shelter He provides for us, because God doesn't promise a pain-free life. The last track takes the album out on a higher note than previously. Referring to each new day as a "Blank Canvas", through the way God is with us we are a new creation, God is the master artist making us new with His mercies each new day. This second album definitely lacks the fresh feel of "The River", but that's to be expected really because we know his sound now. This album keeps that sound and doesn't deviate from it really. However you may have guessed but I am not as enamoured with this album as I was with "The River" and that is because this feels a little stilted. Maybe it was still the fear holding him back a little, but there are so many cliches on the album that it risks it's own devaluation through the overuse of worn-out phrases, can I get a witness? Then there are the missed opportunities, I already alluded to this, I don't expect to have a Jesus Per Minute count on a song, but Jordan could use God, Lord, Jesus, or any of the other names that we refer to our Saviour rather than the overused 'you'. There is an opportunity in "Changed" to talk about his faith and conversion, but instead it is full of empty cliches, like being saved, but saved from what, how, by who? This is not an album which is reaching that far beyond the Christian world so he should be able to fill this in without turning the audience away. If the album is reaching beyond the church walls then isn't that more reason to spell it out? The album ultimately fails to reach the expectations that I had for it. Don't get me wrong, there are good songs here, this is easy to listen to, Jordan's voice is a real asset, but the same drum patterns, handclaps and stylings all end up making this album a bit of a dull experience.